The Haitian National Police has had a troubled history. Organized under the Haitian Army during Duvalier's rule, its failure to fulfill proposals made by the 1987 Constitution was barred by political turmoil. It suffered from few policing resources and was burdened with responsibilities for drug and border patrol enforcement. Infiltration of its ranks by disgruntled former military officers prevented it from being effective in human rights enforcement. Both the U.S. and UN Stabilization Mission in Haiti have poured money and resources into building up the HNP's enforcement and administrative capabilities. HNP, with outside help, has managed to build a foundation of basic administrative services under the Central Directorate of the Administrative Police (DCPA). The Haitian National Police (HNP) retains a detective division, the Central Directorate of the Judicial Police (DCPJ). One of HNP's special units, it operates six offices over 30 sections in the country. Headquartered in Clercine, all its services--excluding Police Science and Technology Center--are under one roof. The DCPJ's purpose is to secure the crime scene, assemble forensic evidence, and look for suspects to bring to trial. Its most important function is to infiltrate organized crime syndicates. The Judicial Police works as well in fighting international crime syndicates in alliance with Interpol, the international police. Due to the varied kinds of crimes and criminals, who commit them, the Judicial Police adapts their techniques and processes to capture, incarcerate, and bring them to trial. 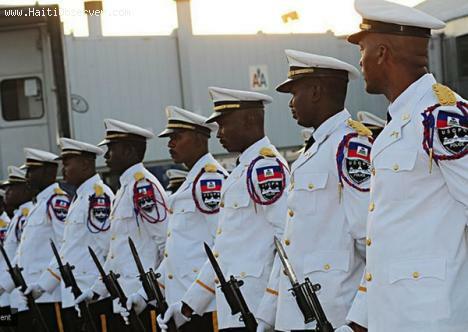 The Haitian National Police (HNP) is an 8,546-member force. Since the Haitian Army was disbanded, it has been the HNP's responsibility to provide security for the country. This number, though, is uncertain, because according to the HNP, the police force has only 5, 892 enforcement officers. The U.S. places the number even lower, somewhere between 3,500 to 4,500. While Haiti's population of about 10 million; It is being protected by anywhere from 3,500 to 8,546 officers. No one is certain what the strength of Haiti National Police's force is, but even at the highest estimate, it falls well below an adequate number of officers needed to protect Haiti. 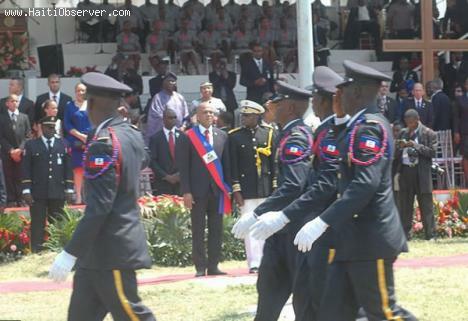 Under Jean-Claude Duvalier, the Haitian National Police (HNP) existed as a two-operation department, under the Haitian Army: the Port-au-Prince Police and Rural Security Companies. Post-Duvalier, the 1987 Constitution proposed forming an independent police cadre and police academy, but political turmoil barred this from happening. After Duvalier, only Port-au-Prince could claim the semblance of a police department. It ran under the control of the Haitian Army. Its capabilities were severely limited, but it bore responsibility for drug and border patrol enforcement, and other criminal matters. Rural Security was not an actual police force. Comprised of soldiers stationed at small posts outside major towns and cities, lower-level military officers acted as police heads. 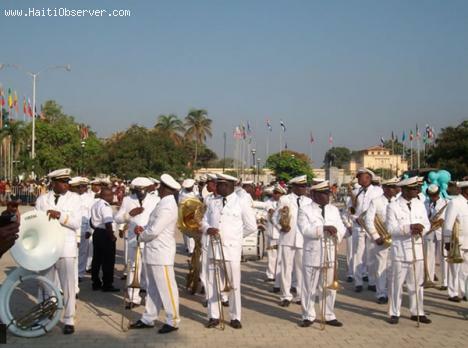 One of the biggest problems facing recruitment of police officers in Haiti National Police's history is interference from former military officers (MO) of the Haitian Army. These interlopers have swayed the politics of the HNP, especially in the area of human rights, a necessary part of modern law enforcement. Their influence has led to abuses against politicians, political dissenters, and law-abiding citizens. 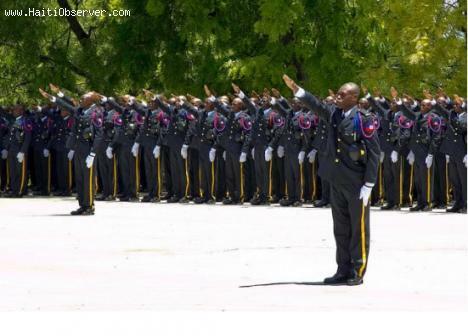 The MOs have and continue to be appointed to administrative positions within the Haiti National Police, gravely affecting the recruitment policies of hiring new officer trainees. What has taken place is training officers, some of them MOs, have used orientation and training methods unethical and insufficient in the enforcement areas of human rights violations, drug trafficking, embezzlement, and violent crimes, have corrupted the recruitment, orientation and training, and functioning of the HNP. Visitors contemplating a visit to Haiti should be forewarned about the pitfalls that accompany being in the country. Security in Haiti is uncertain. The Haitian National Police (HNP) is a compromised law enforcement agency. They have been subjected to internal militant politics, which have caused them to mistreat detainees, violating human rights laws. Under-staffed, under-paid, and awash with corruption, some of its members are suspected to be gang-affiliated. Haiti National Police is supported by the UN stabilization peacekeeping police, who keep barely acceptable security levels in Haiti in place. Because the HNP lacks the capacity--even with an adjunct policing body in the UN forces--to investigate every crime committed towards visitors to the island, they remain largely ineffective. The HNP warns travelers landing at Port-au-Prince Airport to not use public transit, but to call someone ahead of time to come and pick them up. The Haiti National Police (HNP), an historically under-funded, under-recruited, and politically-influenced by ex-members of the Haitian Army, have been accused of killing-at-will suspects believed to have been involved in criminal activity. They have also been implicated in gang-related crimes either on- or off-duty. Haiti's judicial system has failed to adequately address either alleged police abuse, or on-going gang activity in Port-au-Prince. Haiti's police force does investigate criminal incidents, but stops short of securing convictions. The problem of witness fear in testifying is one of the obstacles. Another barrier is that oftentimes police officers resume their duties before completion of the investigations. The Haitian National Police (HNP), a fraught law enforcement agency, has come under fire in the past for human rights abuses, and for providing inadequate protection to cities like Port-au-Prince. The problems that plague the effectiveness of this agency are mainly inadequate funding and the infiltration of former members of the Haitian Army preying on the vulnerabilities of a chaotic and confused force. Allegations of some HNP members being involved in gang activity, in which summary killings take place, adds to the tarnished reputation of the police agency. Yet many police officers of the National Police sacrifice their lives in trying to deal with the violent gang element. Forty officers were slain both on- and off-duty in 2010. One of them, Agent II Luckner Sylvain of the Police Security Unit, who served as a member of Haiti President Michel Martelly's Presidential Security Guard, was gunned down close to his home in Caravelle, Nazon. The killers fled on motorcycles with Sylvain's weapon as a trophy. Another HNP officer, Joel Coffy of the Central Directorate of Judicial Police, was also struck down inside his home in Santo, north of Port-au-Prince. 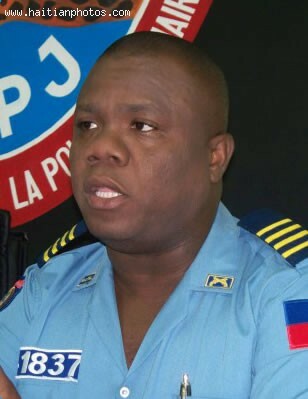 The Haitian National Police (HNP) has several strikes against their effectiveness as a policing agency. They are known to be among the world's most poorly-performing police forces. Under-recruited, 63 officers protect 100,000 citizens, less than 25% of the Caribbean's protection average of 283 officers per 100,000. Further weakening their functioning as a policing body is that a considerable number of HNP officers are thought to be participating in violent-crime gang activity, as well as a series of kidnappings. Both the HNP and human rights advocates verify that some members of HNP are operating outside the law. The HNP played a significant role during the coup d'etat of former Haitian President Jean-Bertrand Aristide, sympathizing with the pro-democracy movement that sprung up around him. One could say the HNP is internally divided between pro-militant and pro-democratic elements. The long awaited change at the National Police of Haiti has been made. Mario Andrésol has been replaced by Godson Orelius as the new Director General of the National Police. Hold on, this is until the approval of the Senate. 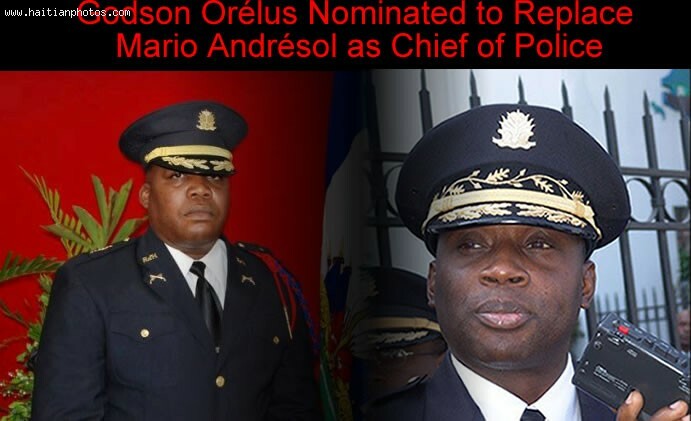 This is no longer a rumor and this nomination confirmed that there was a conflict between Martelly Government and Mario Andrésol being the Director General of the National Police. Nou Fe Sa Nou Vle Nan Ti Payi Sa ! What do we know about Godson Orelius?